This holiday season, fashion and beauty marketing in Seoul is focused on all things young and fun. From comic books to cartoon characters, advertisements are pointing teens towards a look and lifestyle that’s over-the-top and colorful. Here's a selection of some of the best. 1. A MCM x Craig & Karl Bag. The South Korean luxury handbag line introduces their latest collaboration with the glam-pop duo Craig & Karl. The line of bags and clothes features comical ski-goggle eyes and lyrical snowflakes. I love the larger-than-life images on MCM's already outlandish logo leathers. These colorful bags are replacing the googly-eyed heart logo from Comme des Garçons, a staple of the last decade across Europe. 2. Shu Uemura & Takashi Murakami Anti/Oxi refining anti-dullness cleansing oil. 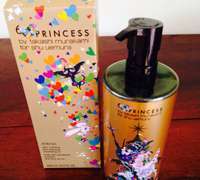 Top on my list this holiday season is cleansing oil from another artist collaboration, Shu Uemura and Takashi Murakami. After working with lines like Louis Vuitton and Issey Miyake, the Japanese artist has created a series of Christmas-themed, black-and-pink princess characters for She Uemera's colorful line of cosmetics. The Anti/Oxi cleansing oil is the number-one selling cleanser in Asia, remarkable for its anti-pollutant properties and soothing scent. 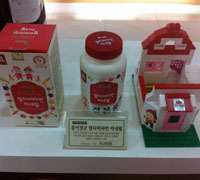 Its hefty price tag (around USD 80) is testament to how Korean women treat skincare products as a major investment in their health and beauty. 3. Lip Mask by Face Shop. Korean women love beauty masks, prepackaged paper masks soaked in beauty serums, from cheap USD 8 ginseng masks to USD 50, 24K gold masks that promise glowing skin after just 10 minutes. The mask trend has gone full force in the last year, offering anything from feet masks and hand masks, to throat masks and now lip masks. 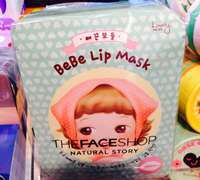 After wearing the pre-treated lip sticker, The Face Shop's mask promises soft, doll-like lips. Drink of choice: K-Pop is crushing J-Pop, exporting its girl and boy groups to mainstream teens throughout Asia. The wide reach of the studio-manufactured music can be seen far and wide on advertisements around Seoul, as its most popular groups hawk anything from socks to energy drinks. Shak King, from Seoul Milk, is a new drink is marketed to fuel teens, using the girl group 4Minute and comic book packaging design. The milk comes in flavors like sweet potato and café au lait, and promises to get you up and dancing.